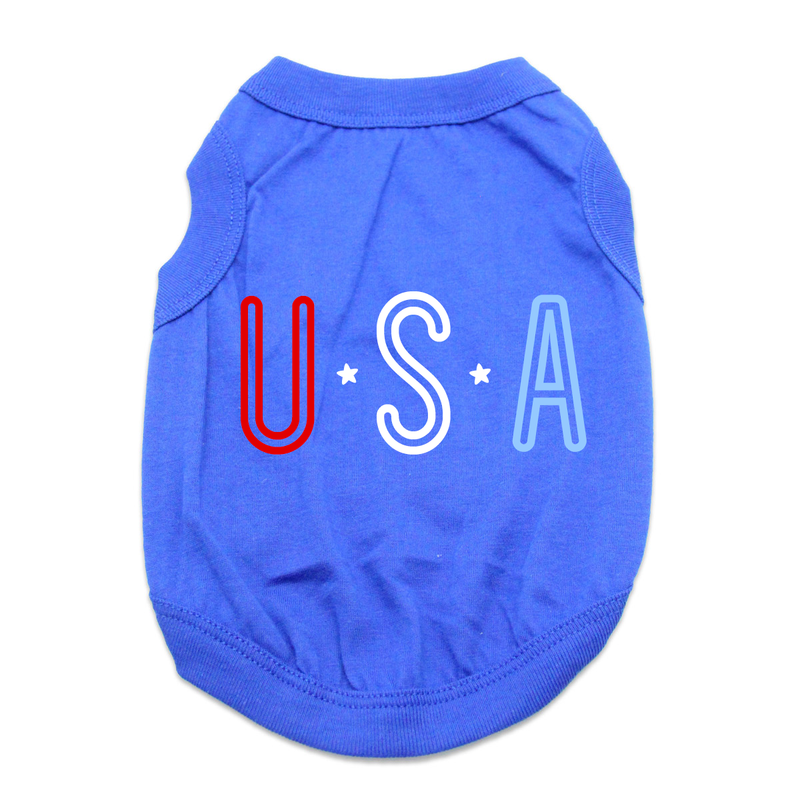 Show your pup's patriotic side this 4th of July or at any summer event in this patriotic USA Dog Shirt in Blue! 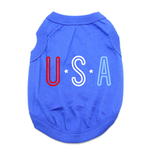 The USA Dog Shirt shows off the pride and love you have for America on holidays and year round! This dog tank top features a sleeveless style and a high-cut, stay-dry belly for ultimate comfort and convenience. The design is custom printed in our BaxterBoo.com T-shirt shop on this soft knit 100% cotton pet shirt. Machine wash cold and dry flat for best results. 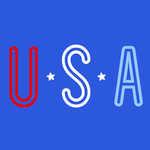 A great gift for the 4th of July! USA Dog Shirt - Blue Customer Photos - Send us your photo! Baldwin just turned ten years old! Posted On 07/05/17 by Pat S from Pekin, IL Yes, Pat S recommends this product! A few of my items were out of stock but the application let me know when the item was in via email and provided a 10% discount. This made the fact that I wasn't getting the item right away alright.